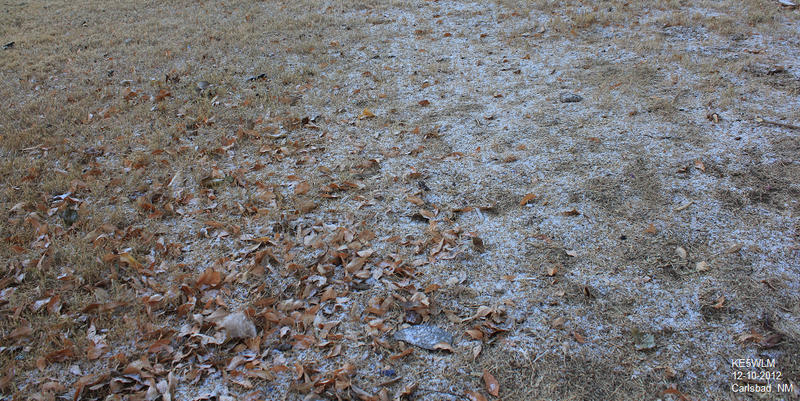 First Snow Overnight - Boy Was It Cold In NM! 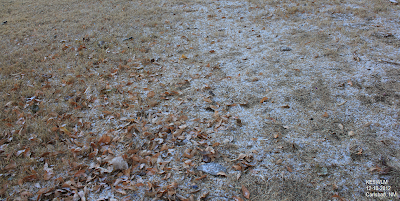 we enjoy every single flake we get here in the Desert Southwest. 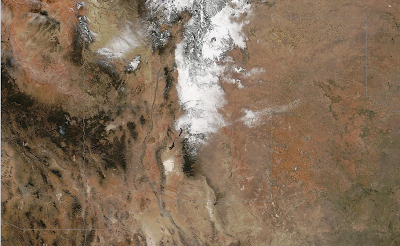 Today's NASA MODIS Satellite Images. 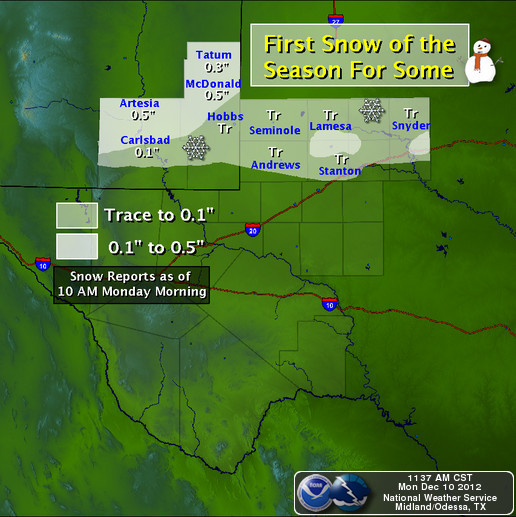 Notice how much of the Sacramento Mountains missed out on the heavier snow last night, this is somewhat odd. Where there was snow cover the thermometer plummeted. Check out this cool summary of yesterday's "First Significant Winter Storm Of The Season" courtesy of the Albuquerque National Weather Service Office. 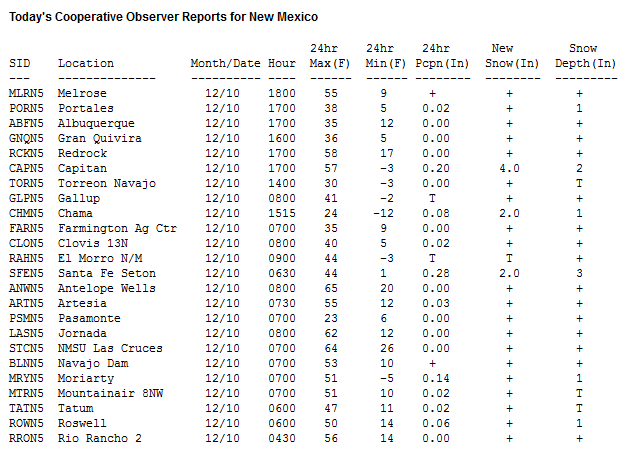 Click on this link to view the New Mexico CoCoRaHS Observers snowfall reports from across the state. Boy did it get cold overnight in the higher snow covered sheltered valleys of northern New Mexico. Eagle Nest reported a morning low temp of -21, the Angel Fire Airport reported -19, the San Antonio Valles Caldera -17, Chama -12, Torreon -10, the Raton Airport -8, and the Las Vegas Airport -7. Locally, the Carrizozo Airport reported a morning low of 0, the Adams Ranch northwest of Ruidoso 1, the Mayhill Raws 3, a personal weather station near Cloudcroft in Dry Canyon 7, Weed 7, and the Mescal Raws 9. The coldest temp in the Sacramento mountains that was reported was the Fort Stanton Raws with a low of -7.